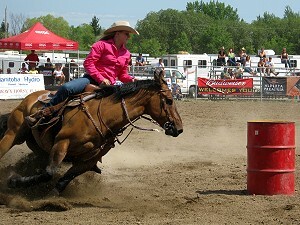 Get ready for heart pounding, hat throwing excitement in Swan River at the Northwest Roundup Grandstand. North American Chuckwagon & Chariot Championships, MRCA & CCA Rodeo, and Heavy Horse Pull! Our Big Screen Display gets you up close and personal with all the grandstand action! Don’t miss a second of the excitement!